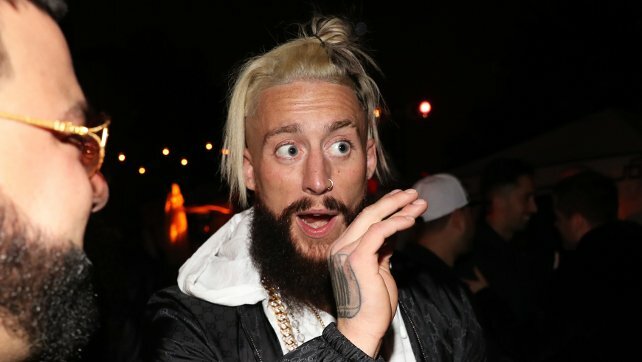 More footage from Enzo Amore‘s shoot interview with Title Match Wrestling has been released, with the former WWE Cruiserweight Champion talking about the reasons behind his Survivor Series invasion last year. “I’ve been planning that, bro, I’ve been planning that. It was—they called me by the way. Before [the event]. They called me before I invaded Survivor Series. A 203 [area code] number called me a few times, my voicemail is full, thank you very much, and I have no idea what they wanted. I knew what I was going to do, so I wasn’t going to answer the phone. It’s simple—I’ve sat here and explained so much to you about marketing, and the character of Enzo and how I marketed him—do you people have any idea how much money it costs if you’re a business on a marketing advertising level, trying to trend in the top 5 worldwide? And how much more powerful that is than cable numbers on commercials? So why not do it? I beat Survivor Series on many things in many facets in trends. I trended #1 worldwide and had things going on and said about me in articles, understand if you typed it or read it, I probably manifest it. Anything you say about me good, bad or indifferent, I already know is going to happen. If I show up to Survivor Series, I understand the backlash and the repercussions of my actions on a media front, on a locker room front, in the world of wrestling and what ‘smart marks’ and people that have negative things to say about me, people that already have their opinions about me, what they’re going to say. There’s nothing that I can’t conquer. There’s nothing that I can’t conquer. That was pro wrestling, that’s what that is. I did it for very, very few reasons. The next day they’re going to sit in on a meeting at Monday Night RAW, and they are going to go over all of their trends and topics, and I’m going to pop up on there. They don’t have a choice, and they are going to see that I did better numbers, as far as statistically speaking, than any other wrestler on that was on that pay-per-view. Enzo also goes on to explain that he originally wanted to wait until the moment before the Cruiserweight match to reveal himself, but the tag team match was on instead, and he had already been spotted and talked about online. He added that he didn’t mean to disrespect any guys in the ring and wanted to do it before the bell rang, and paying $2500 for his ticket to trend worldwide was a smart move.